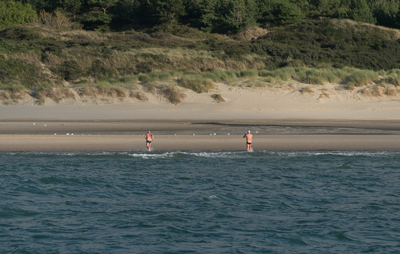 At 7pm on Tuesday, August 21, Asphalt Green Masters member Ross Paterson swam onto the shore of a beach in France. The beach wasn’t very crowded; there were a few people kayaking, swimming, and walking their dogs. 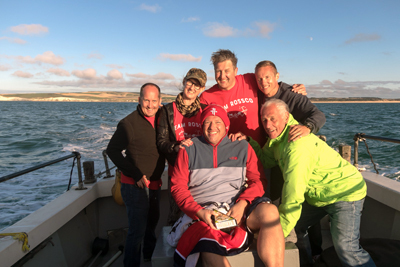 What the casual beachgoers didn’t know was that Ross had just completed an extraordinary feat: He finished the famous English Channel swim, a 21-mile trip from England to France. The ultimate long-distance challenge took him 11 hours and 35 minutes. “I just swam across the ocean,” was the only thing going through Ross’ head. Over a year and half of training led to this moment. To put the accomplishment in perspective, the English Channel is known as the Mount Everest of swimming. What inspired Ross to take on the challenge? Before moving to New York about six months ago, he spent 16 years in Australia, where open water swimming is popular. Many fellow swimmers were always talking about the English Channel. 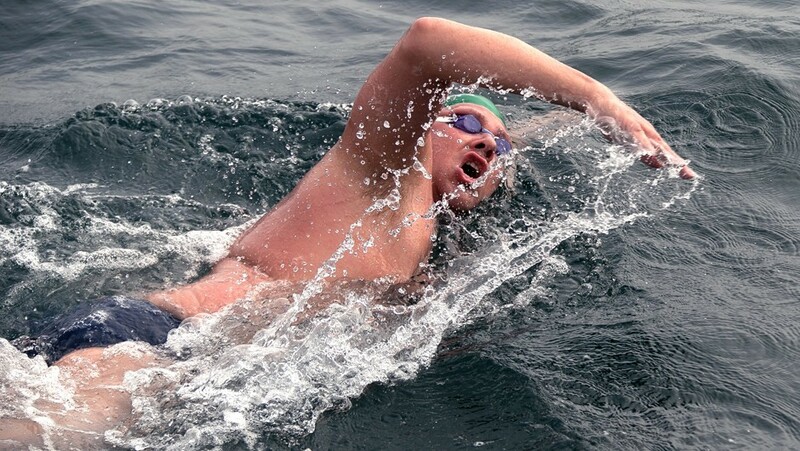 Before focusing on the English Channel, the longest swim Ross had completed was 10 kilometers. Training would be different than anything he had ever done before, but he was confident he could do it. About a year before the race, he started upping his mileage and attended up to 10 sessions per week with the Asphalt Green Masters team. Training in New York City can be challenging because there are not many opportunities to swim in open water. Ross admits others probably did more open water swims than he did before attempting the English Channel. He compensated by attending two-a-day practices at Asphalt Green, which he says were helpful while adjusting to a new city. Ross felt anxious right before the race. Friends and family met him on the beach in England to wish him well. His crew, which included his dad and a couple of friends from Australia, would follow his journey on a boat. At 7am, he jumped into the ocean. “Now or never,” Ross thought, before he started the swim. The first two hours, Ross wanted to be on the boat with his family and friends. However, the swim was not without its challenges. The first seven hours were in foggy conditions, which took a mental toll. Bananas, water mixed with electrolytes, and nutrition gummies kept Ross fueled. His body was telling him that he was doing the right things, so he trusted it. He was stung by jellyfish and felt pain in his shoulders, but he kept pushing through. With four hours to go, he saw France and knew in that moment he was going to make it. One of Ross’ friends swam with him for the last 30 minutes of the race. When he reached the shore, he took in the moment for a few minutes before taking the boat back to England. The real celebration started in England with all of his family and friends over champagne. Looking back on the day, he felt like everything fell into place. Before heading back to the US, he spent a few days enjoying the country. Looking back, the experience taught Ross a lot about himself. Though Ross isn’t sure he will do another English Channel swim in his lifetime, he is looking forward to other open water swims in the US. “Hopefully I inspire other people to do ocean swimming or some kind of endurance event,” Ross says.